It’s easy to overlook the importance of a quality mouse, but gamers know that a bog-standard mouse simply won’t cut it if you’re serious about gaming performance and value the fluidity and precision that most mice simply aren’t equipped to offer. Standard mice are fine for clicking and dragging on your PC desktop but struggle when faced with the demands of precision gaming. 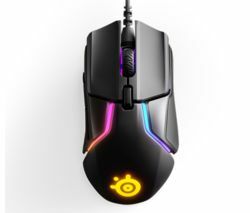 Our Steelseries mouse range is specifically designed to offer an optimised gaming experience and give you that all-important competitive edge. 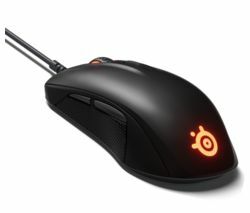 Take the Rival 310 Steelseries mouse, which is ideal for gaming thanks to its ultra-low-latency and rapid-response. You’ll instantly appreciate the natural and accurate movement this specialist gaming mouse delivers courtesy of its TrueMove3 sensor technology. Our Steelseries mice are all ergonomically designed to ensure a more comfortable gaming experience that will enable you to play for extended periods. And, because atmosphere is everything when you’re immersed in an epic gaming sesh, programmable LED lighting allows you to choose from the full spectrum of 16.8 million colours to enhance your gaming experience. Reactive illumination responds to in-game events like low ammo, health, kills and more, bringing you gaming to life with a fully-customisable lightshow. Take a tour of our huge computer accessories department to explore all-manner of PC gaming equipment. View all gaming keyboards to browse the latest models from leading brands like Razer, Logitech and Roccat or if you’re eager to dispense with the irritation of trailing wires, take a look at our wireless keyboards.